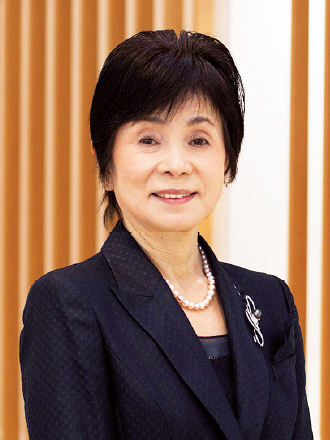 Mejiro University College, which marked its 50th anniversary in 2013, has always used small-group education to develop young women with a good balance of a broad education combined with specialist knowledge and techniques. The college also puts effort into linking education directly to the acquisition of qualifications and experience, using diverse learning situations suited to each student's interests. Moreover, a flexible curriculum allows free selection of subjects beyond the department or field of study. The college offers students support for broadening possibilities and growth in the limited two-year period that they are here. The Mejiro University College embraces an established tradition extending back more than 50 years. Faculty and staff educate students based on a shared understanding that they will send out "independent women" into the society. Education is based on the "ability of students to think for themselves" and teaching constantly imbues the "maintenance of a spirit of critical thinking." Although the college is small, it is continually reforming, never content with the status quo as faculty and staff are always sensitive to signs indicating a new era. I hope that the college is a place of learning where all continue to grow along with the student body. The Department of Living Science has designed courses for "enriched living" through practical education in fields intimately related to people's social lives, including food, clothing and shelter, as well as the living environment and communication. The program utilizes many lessons and drills, as well as courses for the acquisition of quali cations that can be of use in the real world. Six diverse elds have been set up in Fashion, Bridal and Cosmetics, Café and Food Wellness, Interior Design, Psychological Communication and Child Studies, allowing students to learn in multiple fields in accordance with their desire. In addition, students are also able to select courses in other departments as well as university-wide courses, which allows them to pursue their own interests and broaden future possibilities. The department's aim is to develop people who can take advantage of various department specialties to be active on a number of fronts after graduation, and to develop members of society with firm decision making capabilities. The Department of Confectionery Arts, the first of its kind to be established at a junior college in Japan, offers acquisition of techniques and knowledge in Western and Japanese style confections and in bread-making. The curriculum is assembled in stages from basic to applied, and students learn the cultural and historical background of confectionery-making as well. The latest professional equipment is used for acquiring the skills of confectionary. Study also extends to learning about theories of food hygienics, display methods and customer service manners, with an emphasis on learning communication skills. The department also places emphasis on industry-academia collaboration, internship programs and simulative leaning such as selling the pastries, Japanese confections, and bread which are made on-campus. The department has also established the Confectionery Hygiene Master Course with the objective of students acquiring national certification. Students receive instruction in the maintenance of confectionary safety and hygiene with the goal of successfully passing the Confectionery Hygiene Master Examination. After graduation, they can expect to be active in a wide range of, including patisseries and food-related industries. The department aims to nurture flexible women who can play an active role in a wide range of fields such as finance, trading, manufacturing and medical institutions, as well as in the distribution, retail, tourism, transit and hotel industries by incorporating numerous seminars and extramural training in its curriculum. Students can acquire the manners and common sense required in the business world and master practical skills and theories that will prove to be useful. Compulsory classes teach manners and cultivate students and help to build the foundation for becoming an adult in society. Through the required courses which provide a general education and enable the acquisition of appropriate business manners, students build a foundation to be professionals and, at the same time, select specialized courses according to their interests from five fields: Secretarial Administration, Medical Secretarial Administration, Marketing, Financial Planning, Tourism and Airline Business. Upon completion of these unique specialized courses, students are able to obtain certification including senior secretarial specialists, senior medical secretarial specialists, or business practice specialists in tourism at the time of their graduation.